Synopsis – Yehudah/Judah approaches Yoseph/Joseph to plead for the release of Benyamin/Benjamin, offering himself as a slave to the Egyptian ruler in Benyamin/Benjamin's stead. Upon witnessing his brothers' loyalty to one another, Yoseph reveals his identity to them. "I am Yoseph," he declares. "Is my father still alive?" The brothers are overcome by shame and remorse, but Yoseph/Joseph comforts them. "It was not you who sent me here," he says to them, "but Adonai. It has all been ordained from Above to save us, and the entire region, from famine." The brothers rush back to Canaan with the news. Ya’akov/Jacob comes to Egypt with his sons and their families -- seventy souls in all -- and is reunited with his beloved son after 22 years. On his way to Egypt he receives the Divine promise: "Fear not to go down to Egypt; for I will there make of you a great nation. I will go down with you into Egypt, and I will also surely bring you up again." Yoseph/Joseph gathers the wealth of Egypt by selling food and seed during the famine. Pharaoh gives Ya’akov/Jacob's family the fertile county of Goshen to settle, and the children of Israel prosper in their Egyptian exile. Theme & Message – The focus of this lesson is the sovereignty of God. The Lord’s plans move forward in spite of any actions of people, whether they are believers or unbelievers. Our Father in Heaven, always motivated and moved by His great endless love, has a plan for His Kingdom, the universe, this whole earth, and for every individual He has created. Nothing and no one is outside of God’s knowledge or control. Because of God’s great love, the believer is called upon to trust Him completely and at all times that His plans are for the good of us all. This chapter relates the policy of Yoseph/Joseph in making an experiment of his brethren's regard and affection for Benyamin/Benjamin; he ordered his steward to put every man's money into his sack, and his silver cup in Benyamin/Benjamin's, and when they were got out of the city, to follow after them, and charge them with the theft, as he did; and having searched their sacks, as they desired he would, found the cup with Benjamin, which threw them into the utmost distress, and obliged them to return to Yoseph/Joseph, Gen_44:1; who charged them with their ill behavior towards him; they acknowledge it, and propose to be his servants; but he orders them to depart to their father, retaining Benyamin/Benjamin in servitude, Gen_44:15; upon which Yehudah/Judah addressed him in a very polite and affectionate manner, and relates the whole story, both of what passed between Yoseph/Joseph and them, concerning Benyamin/Benjamin, the first time they were in Egypt, and between their father and them upon the same subject, when he directed them to go a second time thither to buy corn, and how he became a surety to his father for him, and therefore proposed to be his bondman now, not being able to see his father's face without Benyamin/Benjamin, Gen_44:18. Mat 23:36 Yes! I tell you that all this will fall on this generation! 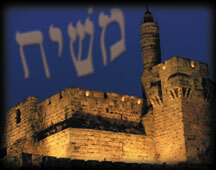 Mat 23:37 "Yerushalayim! Yerushalayim! You kill the prophets! You stone those who are sent to you! How often I wanted to gather your children, just as a hen gathers her chickens under her wings, but you refused! Mat 23:38 Look! God is abandoning your house to you, leaving it desolate. Mat 23:39 For I tell you, from now on, you will not see me again until you say, 'Blessed is he who comes in the name of Adonai.' "
This chapter contains an account of Yoseph/Joseph's making himself known to his brethren, which was done when they were alone, Gen_45:1; when he encouraged them not to distress themselves on account of their selling him into Egypt, for God in his providence had sent him there for their good, Gen_45:5; and he ordered them to go forthwith to Canaan, and acquaint his father with all the honor and glory they saw him in, and to desire him to come thither to him, where he should be provided for during the five years of famine yet to come, in the best part of the land of Egypt, Gen_45:9; upon which he expressed the strongest affection to Benyamin/Benjamin, and to all his brethren, Gen_45:14; the fame of this was soon spread in the house of Pharaoh, which gave the king great pleasure, who immediately expressed his earnest desire that his father might come and settle in Egypt, and ordered provisions to be sent him, and carriages to bring him down, and all that belonged to him, Gen_45:16; and Yoseph/Joseph accordingly delivered to his brethren wagons and provisions for the way, and gave gifts to them, and sent a present to his father, and dismissed his brethren with an exhortation not to fall out by the way, Gen_45:21; and when they came to Canaan, they acquainted their father with all these things, who at first could not believe them; but when he saw the wagons, his spirit revived, and determined to go and see his son, Gen_45:25. Gen 45:5 But don't be sad that you sold me into slavery here or angry at yourselves, because it was God who sent me ahead of you to preserve life. What satan meant for bad Adonai turns around for good and for His purposes. The plans of the Lord was to take Yoseph away from his natural family to place him with the Goyim. But because Yoseph held tight to Adonai’s ways he was elevated to be a leader. Gen 45:19 "'Moreover — and this is an order — do this: take wagons from the land of Egypt to carry your little ones and your wives, and bring your father, and come. Gen 45:20 Don't worry about your stuff, because everything good in the land of Egypt is yours.' "
Sometimes you have to leave things behind when you move. But if you are following the Lords plan He will provide. Gen 45:22 To each of them he gave a set of new clothes; but to Binyamin he gave seven-and-a-half pounds of silver and five sets of new clothes. A special blessing for Yoseph’s full brother. Yoseph and Benyamin come from the same parents. Five is the number in Hebrew for grace. It must have been a bit lonely being Benyamin because his half brothers must have been distant to him because every time they looked at him it reminder them of the evil they had committed. In this chapter we are told, that Ya’akov/Jacob with all his family and substance took a journey to Egypt to see his son Yoseph/Joseph, as he determined, in which he was encouraged to proceed by a vision from God, Gen_46:1; and an account is given of all his sons, his sons' sons and daughters that went thither with him, Gen_46:8; when he came near to Egypt he sent Yehudah/Judah before him to Yoseph/Joseph, to acquaint him of his coming, who met him at Goshen, where there was a most affectionate interview between them, Gen_46:28; and when he gave directions and instructions what answers to give to Pharaoh's questions, when they should appear before him, to whom he proposed to go and inform him of their being come into Egypt, Gen_46:31. Gen 46:15 These were the children of Le'ah whom she bore to Ya`akov in Paddan-Aram, with his daughter Dinah. In sum, his sons and daughters numbered thirty-three. 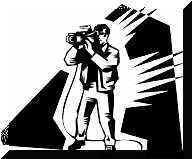 Thirty-three children was the total of children for the house of Israel. 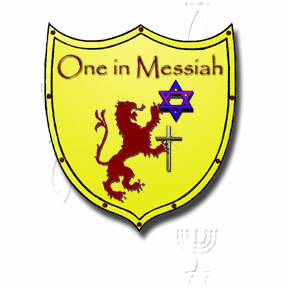 33 years old was the age of the Messiah when He began to gather the all people unto Himself. Gen 46:27 The sons of Yosef, born to him in Egypt, were two in number. Thus all the people in Ya`akov's family who entered Egypt numbered seventy. This chapter gives an account of the presentation of five of Yoseph/Joseph's brethren, and then of his father, to Pharaoh, and of what passed between them, Gen_47:1; of Joseph's settlement of them, according to the direction of Pharaoh, in the land of Rameses in Goshen, and of his provision for them there, Gen_47:11; of his getting into his hands, for Pharaoh, the money, cattle, and lands, of the Egyptians, excepting the lands belonging to the priests, for corn he had supplied them with, Gen_47:13; of his giving them seed to sow with, on condition of Pharaoh's having a fifth part of the produce, Gen_47:23, of the increase of Jacob's substance in Egypt, and that of his children; of the time of his living there, and his approaching death, when he called Yoseph/Joseph to him, and obliged him by an oath to bury him in the burying place of his fathers, Gen_47:27. TORAH LESSON – After the hidden silver cup was found in the youngest son, Benyamin/Benjamin’s sack, Joseph saw that his brothers had really been transformed. They had become humble, submissive, and most importantly, they were more concerned with the well-being of Benyamin/Benjamin and their father, Israel, than they were for their own situation. This was the very response that Yoseph/Joseph had been hoping to see. In his excitement and love, Yoseph/Joseph revealed his true identity to his brothers after the truth of their repentance was revealed. The brothers acknowledged their sin, but also acknowledged Joseph’s authority over them. This was the fulfillment of the dream that Yoseph/Joseph had shared with them so many years earlier. Yoseph/Joseph’s joy and his willingness to forgive his brothers overwhelmed him and he revealed his true identity. With joy, relief, and abundance the brothers returned to their father’s house. The threat of death from the famine was no longer looming over Israel’s house and a plan was set in motion for the entire family to move nearer to Yoseph/Joseph who had become the powerful leader of Egypt. Under Yoseph/Joseph’s leadership Egypt, Israel, and even the surrounding nations drew life from the abundance Yoseph/Joseph had prepared. Soon Egypt owned all the land, the animals, and even the servitude of all the surrounding peoples. TODAY’S TEMPLE – Read Yochanan Alef/1 John 4:7-21. Joseph was able to see the “big picture” even when his older brothers could not. He understood that all that had happened to him was for God’s purposes to bless him and his family. He endured hardship without fear. He was able to love his brothers and forgive his brothers. Believers are to learn from Yospeh/Joseph’s example, but more so, from Yeshua’s example. Yeshua could see the great plan of salvation from His Father’s point of view. He forgave his persecutors, even the older men of the Jewish leadership who did not believe that He was the Messiah. These were His Hebrew brothers who could not understand that what they were seeing was the fulfillment of the plan of God. Yeshua loved them because His Father in Heaven first loved Him. God’s love was perfected in the love of Yeshua, shown to us when He came to this earth the first time. While we await His return, we must live according to His Word without fear. We are instructed to love one another.